Objects Without Meaning is an up and coming brand that I am totally lusting over as of late. There is just something quite fresh about it. 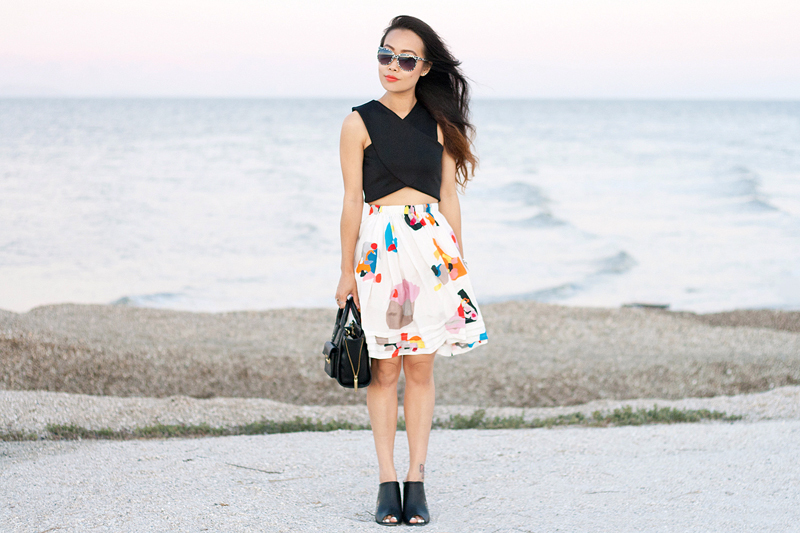 Like this Cove pleated skirt I am wearing... it is colorful without being childish, it is a bit crazy without being tacky. It has a good flow, both visually and physically. I paired it with everything black to keep this look more chic and sleek. On a different note, these photos were shot at this one spot along the shore by the bay in Foster City and it reminds me of the times I would photograph near the coast in Santa Cruz (one thing I truly miss about living there). The wind really blows it (pun intended) over there though, my hair was insane in 2/3 of the photos and but at least my skirt looked cool! Cove pleated skirt c/o Objects Without Meaning. Black criss cross crop top from Boohoo. 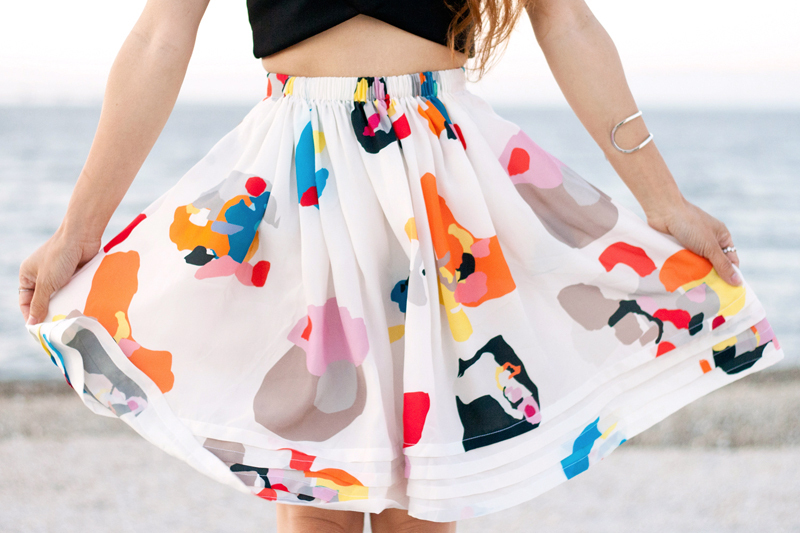 your skirt is beautiful, its so fun and colorful. i love how you styled it too.